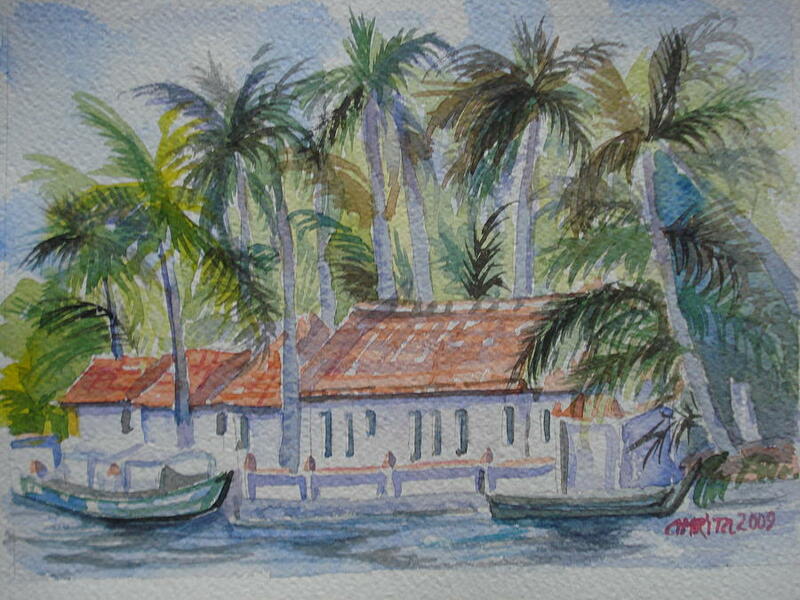 Kerala Backwaters is a painting by Amrita Puntambekar which was uploaded on January 13th, 2010. Kerala is full of such landscapes. They are such delight,.. houses on banks, with a row of towering coconut trees behind.